Cannabis edibles company, Dixie Elixir has released a delicious new limited edition memorial root beer, the LEBRE which helps support a worthy cause. 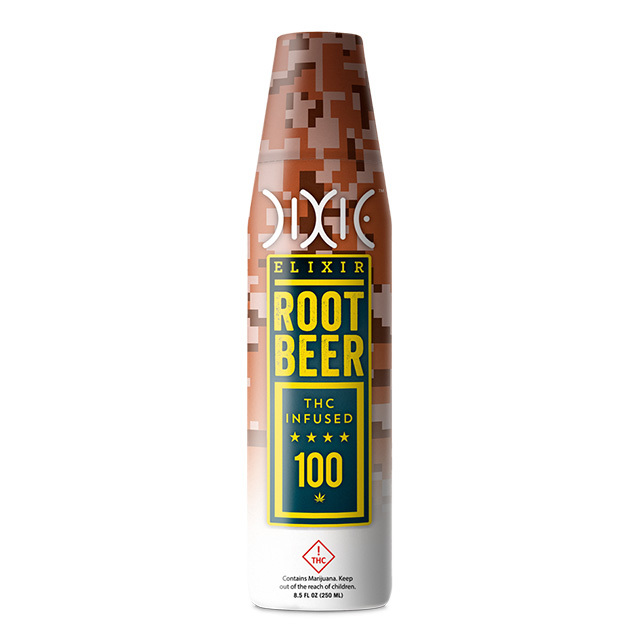 Cannabis edibles company, Dixie Elixir has released a delicious new limited edition memorial root beer, the LEBRE (Limited Edition Root Beer Elixirs) which lets you medicate, and helps support a worthy cause. Dixie Elixir recently partnered with the Veteran’s Sportsman’s Alliance (VSA), an amazing organization that serves to get injured and disabled Vets out of the house and hospital and back into the therapeutic surroundings of nature and outdoor adventure. Hense the camouflage-style graphics of the bottle. The company has consistently been an active supporter of cannabis research for PTSD. So when they asked Vets for their opinion and the VSA was suggested, it made perfect sense to partner up. The current federal status of cannabis makes it difficult for cannabis non-profits to take contributions. Dixie wanted to show their respect to Veterans, so for every LERBE you purchase, Dixie will donate 50¢ to the VSA. We were able to take an existing product that we felt lent itself well to Memorial Day’s early summer time frame and that also had a sense of nostalgia. For simpler times that bring us to our roots as a country. Roots that dictate that we honor those who have served our country. The delicious root beer drink is available in the option of either 6 MG of THC per serving and 100 MG of THC per bottle. In select markets, it is also available in 200 MG of THC per bottle and 12 MG per serving. The bottle also has a new, first-to-market child-resistant dosing cap that’s designed to hold the drink’s carbonation. The cap has a marked line at 15 mg, so it’s perfect for medical cannabis patients find their perfect dose – plus it’s free from artificial coloring and flavors. As for activation time, Dixie Elixir estimates about 30 minutes before the THC is fully absorbed and begins to take effect in your body. If you’re moved by the VSA’s dedication to helping returned Vets, please feel free to donate the Veteran’s Sportsman Alliance here. To mark the collaboration, the VSA have an adorable new recruit. Meet Dixie the pup, who will be trained up to be an incredible Service K9 for one of our heroes.